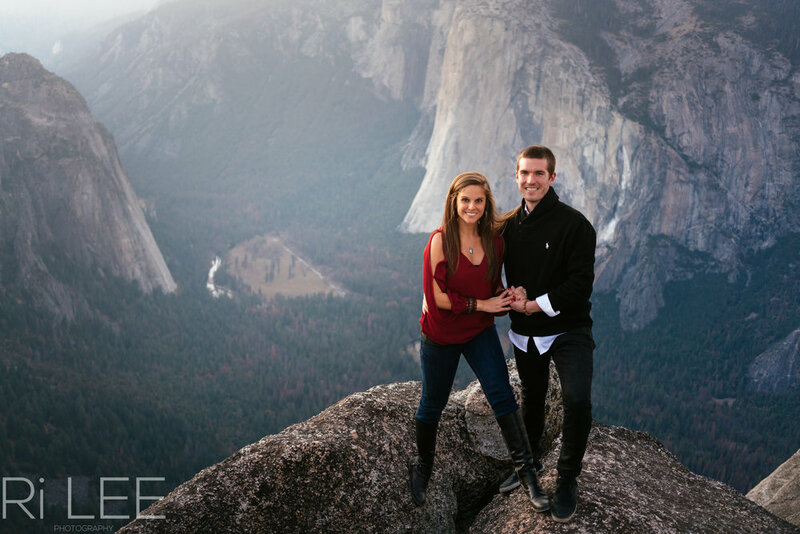 When this soon to be groom contacted us to capture his proposal to his -then girlfriend- in Yosemite, he wanted to keep it a secret. 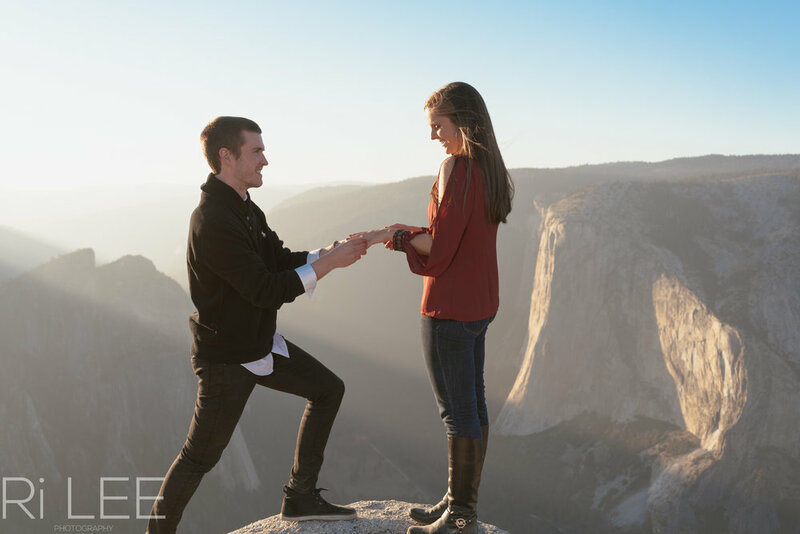 They flew all the way from Kentucky and she had no idea what was going to happen when they arrived in Yosemite (other than the amazing views of course). With careful planning and a lot of coordination, the soon-to-be-groom and I stayed in contact and I literally mapped out the area for him and the 3 locations he would get the best views for when he bent a knee. 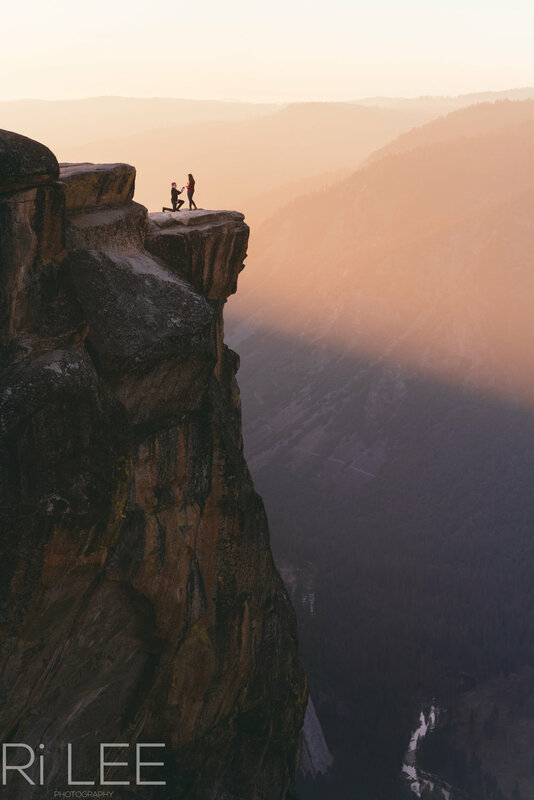 He decided on a location, so the next day the plan was for me to wait in the parking lot at the trail head and secretly follow them down to Taft Point. As I made my way down and got in place, they approached. After a few planned hand signals were made, I knew the moment was near. Months of planning to secretly capture this moment could all go horribly wrong if my photo gear did not perform perfectly. Camera in hand and my best tourist face on, he knelt down and presented the ring... I was firing photos as fast as I could with a huge smile. It's pretty awesome to capture a moment like this and even more awesome that all the long planning and attention to detail was coming alive. 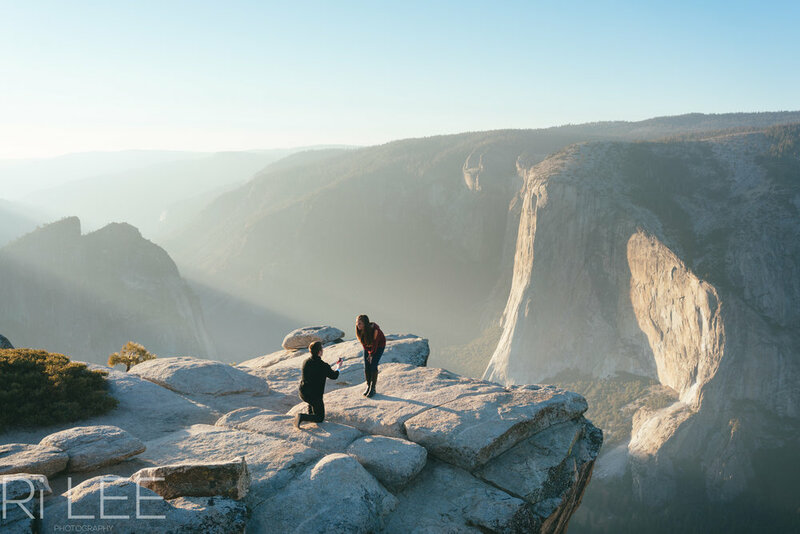 After a few minutes he informed her that the guy with the camera was there to capture this moment. 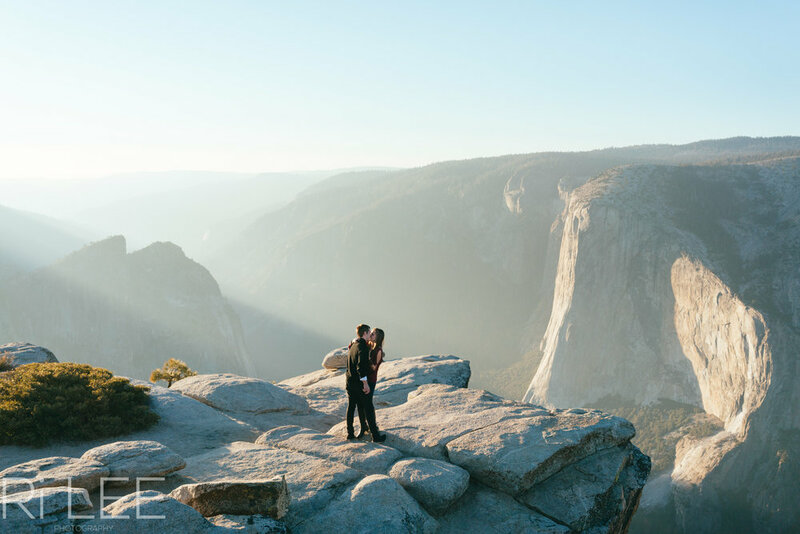 We had some good laughs and got right to work capturing the final hour of a Taft Point wedding proposal.